Have you decided where you want to go on your summer vacation? If no then you are not the only one most families have not yet decided where they want to go. It can be a quite time consuming activity to find that ideal vacation escape, to beat the heat and still enjoy your vacation. Nainital:- Nainital is one of the most charismatic hill stations that India harbors. Once called City of 60 lakes or ‘Chakta’, there are only a few lakes remaining today. The main lake Naini on the banks of which lie the main town is surrounded on three sides by beautiful mountains of the Kumaon foothills a part of the Himalayas. Nainital makes for a great summer retreat. There are hiking tracks up the scenic mountains provide a spectacular view of the lake below. Yachting, boating and paddling make for enticing activities during the day. The north end of lake is called Mallital while the southern one is called Tallital which have a bridge (Danth popularly named) having Gandhiji’s statue and post office on its sides. You can also visit Naina peak, Snow view,Hanuman Garhi, Naina Devi Temple, Corbett National Park, Zoological garden, Tiffin Top etc. Gulmarg:- Gulmarg is essentially a large meadow about 3-sq-kms in area and at altitude of 2,730 meters, 56-km south west of Srinagar in Jammu-Kashmir. The name Gulmarg literally means “meadow of flowers”.snow-covered mountains, almost within touching distance enveloping it. It’s a popular day trip from Srinagar to Gulmarg and it’s popular for trekking. The maize and rice fields only add to the natural landscape of this cool retreat. 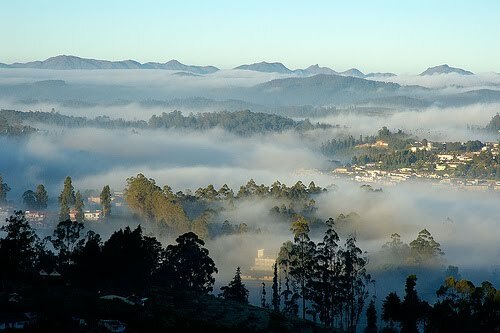 Ooty:- the Queen of the hill stations, Ooty or Udhagamandalam is situated in the Nilgiri mountain range meaning “Blue Mountains”.Ooty is a famous hill station down-south. Ooty is a land of versatile landscapes, pine trees, and famous picnic spots. The Toy-Train of Ooty is the most famous tourist attraction. The Tea gardens are spread over the major parts of the land. The spices & the spice plantations are the must-see attractions of Ooty. Shimla & Manali:- Shimla isamongst the famous hill stations of Himachal Pradesh. Shimla is a small town establish by Britishers. It was the summer capital during the British Raj in India. Here you’ll find building constructed in colonial style. The toy trains that commence from Kalka to Shimla are a craze among the kids and elders too. These are some cool destinations where one would like to spent their time and enjoy holidays with family. 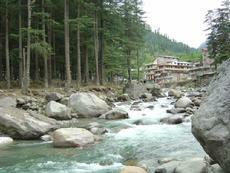 These hot spots are hill stations where we can get rid of the hot, scratchy summer and relax ourselves. Where are you going for this Summer?